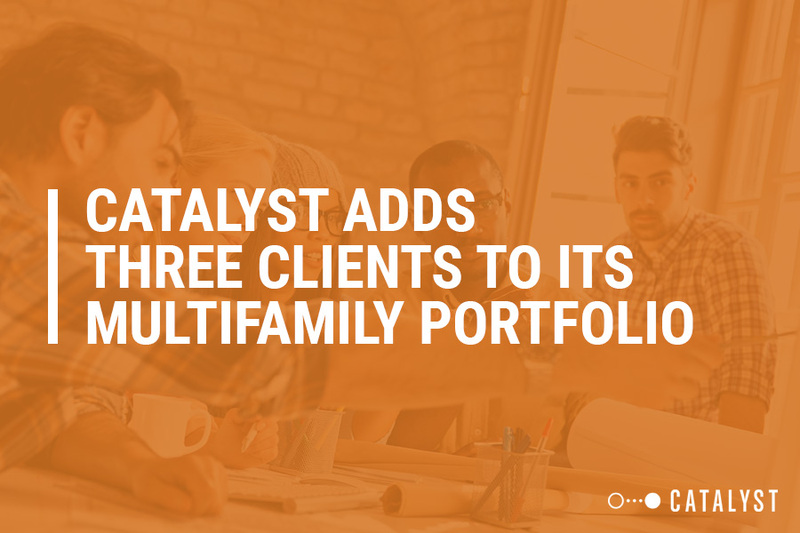 AUSTIN, TX: Catalyst, an Austin-based agency specializing in creative marketing for student and multifamily housing, has signed three new clients: Cityscape Residential, South Texas Capital Advisors, and Simpson Housing. Catalyst adds them to its growing portfolio of 109 properties, including 15 student housing organizations, 10 multifamily developments, and one residential client. Cityscape Residential selected Catalyst to assist with its newest development, The Ascent, in Plainfield, IN. Featuring 309 units, the Ascent offers a resort-style amenity center that includes a salt water pool, grilling cabana, pet spa, pet park, business and conference center, resident lounge, and a commercial quality fitness center. Catalyst will create the logo and brand guide, marketing collateral, and website. With a desire to work with a full-service digital marketing agency specializing in real estate and serving as a one-stop-shop, South Texas Capital Advisors chose Catalyst to create the logo and brand guide, and pitch book for its newest development Solms Landing. Located in New Braunfels, TX, the development will bring together national and local restaurants, a boutique hotel, upscale shopping, and a variety of luxury apartments and townhomes. Simpson Housing hired Catalyst to bring a fresh branding approach to its new development Links at Rea Farms located in Ballentyne, a suburb of Charlotte, NC. The 188-acre development will include 700 multifamily and single-family homes for which Catalyst will assist in creating a broad appeal to young professionals and families in the developing community. Catalyst will provide initial market discovery, demographic and psychographic profiles, along with a logo and brand guide. The principals of Cityscape average more than 20 years of experience in a wide range of sophisticated real estate transactions, including complex multi-party joint venture transactions, public-private partnerships, and complex financial instruments and structures. Cityscape is most well-known for its award-winning history of luxury multifamily rental communities. The principals of Cityscape have been responsible for the successful development and/or financing of several billion dollars’ worth of real estate throughout the eastern half of the United States during their careers and have been responsible for the development and construction of several thousand for-sale and rental residential units across multiple market areas. South Texas Capital Advisors is a Texas based asset management firm. South Texas Capital manages assets of high net worth individuals and institutions. Simpson Housing® LLLP is a national, fully-integrated real estate development and portfolio management firm. Primarily focused on the multifamily market, Simpson builds and operates high-quality, residential communities throughout the United States. As one of the largest privately held residential developers and managers in the nation, it is organized to deliver a comprehensive range of real estate services – including development, property management, construction, acquisition, marketing and financing. For more information, visit http://www.simpsonhousing.com/.